Three cheers for St. Patty’s Day! 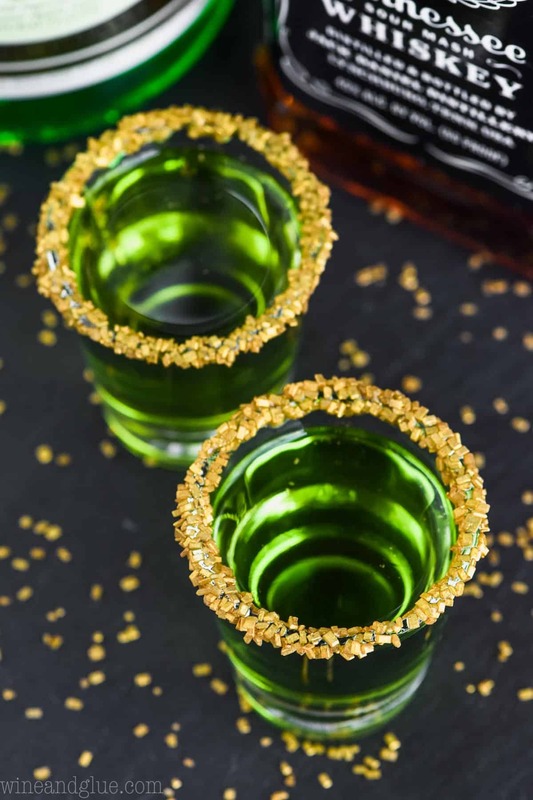 Whether your ancestors hail from the motherland or the luck o’ the Irish only finds you once a year, don’t let March 17th go by without celebrating with a batch of Lucky Leprechaun Shots! If you know me, you know that I love my whiskey! There’s nothing like a little Irish whiskey to get you in the party mood. And this tart, flavorful shot is the perfect green cocktail to keep the St. Patrick’s Day bash going in between green beer and all the green colored food. 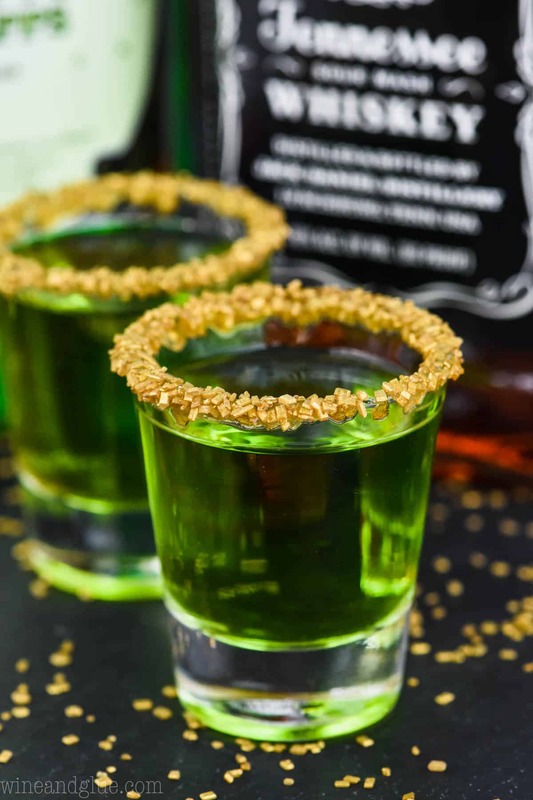 These little Lucky Leprechaun Shots were a HUGE hit last year! Of course, whiskey isn’t just for the day of green. For different flavor, you’ve got to try this yummy Desert Wasteland Whiskey Cocktail, or go for a more elegant statement with our Wine and Whiskey Cocktail. WHAT DO YOU NEED TO MAKE LUCKY LEPRECHAUN SHOTS? 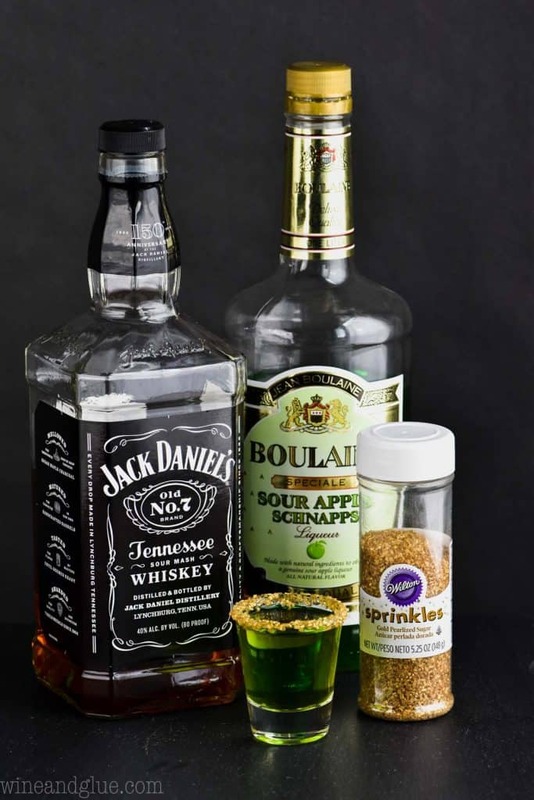 This delectable green drink comes together with just a few simple ingredients: start with a couple ounces of good quality whiskey and apple schnapps. For the garnish, all you need is a little corn syrup and a lot of gold sprinkles. 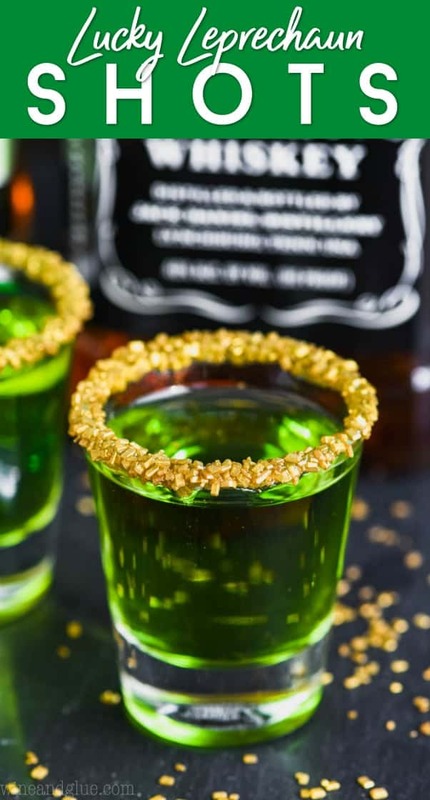 HOW TO YOU MAKE LUCKY LEPRECHAUN SHOTS? Easy! 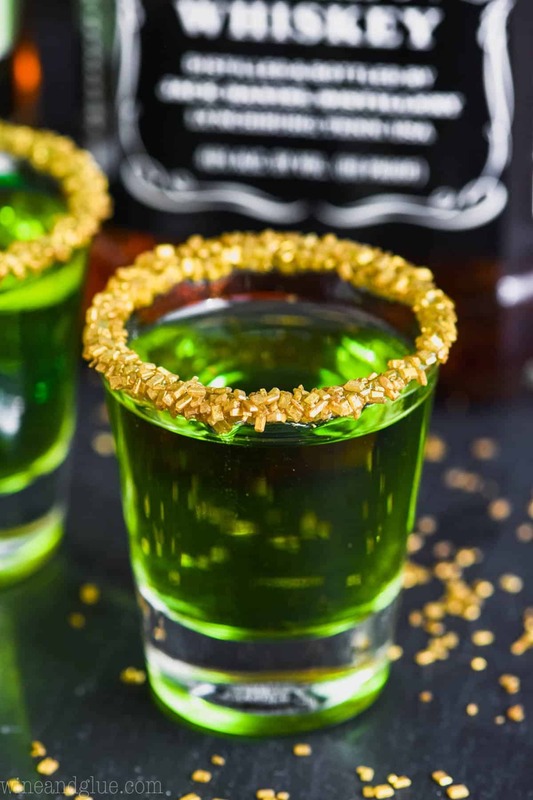 In four shot glasses, line rims with corn syrup and dip them in gold sprinkles. Add one ounce of whiskey then an ounce of apple schnapps to each glass. 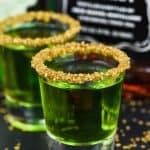 These Lucky Leprechaun Shots start with some whiskey and are the perfect cocktail for St. Patrick's Day! Dip rims of four shot glass in corn syrup and then dip them in gold sprinkles. Pour one ounce of whiskey in each of the four shot glasses. Top off with the apple schnapps. Cheers and down the hatch! It is not St. Patty’s day . It is St. Paddy’s day. Patrick is a man’s name and in Ireland he is called Paddy. Most Irish do not like it being called St. Patty.